A car accident can happen anywhere, even on roads we drive on often. While on familiar roads, it can be easy to think that we are safe from accidents, but this is not the case. Some car accidents can leave victims dealing with severe injuries, and the impacts can be negative and far-reaching. All drivers need to do their part to remain attentive. On June 6, Massachusetts State Police responded to a call they received about a vehicle accident involving two vehicles. The accident was reported at approximately 7:30 a.m., and emergency responders were dispatched to the scene shortly afterwards. The accident occurred on Route 1 northbound at the ramp to I-95 in Dedham. Upon arrival at the scene, first responders found that one person had sustained injuries, and medical care was given to this individual. They were transported to the hospital, but the extent of their injuries is still under review. One vehicle was over the guardrail, and the ramp was closed as the scene was secured. 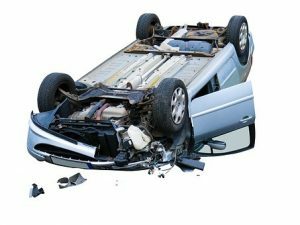 Accidents that happen on freeways can be extremely dire as they can leave victims suffering from major injuries. When driving on highways, we must all remember to remain attentive and cautious when on these roads. We all have a responsibility to keep our roads safe and do our part to prevent accidents. Victims who are injured have a right to receive assistance so they can move forward with their lives. We at the Law Offices of Jeffrey S. Glassman see the potentially devastating consequences of accidents as we help people with their cases. We strongly urge all drivers to follow traffic laws at all times and remain aware. We know that accidents can happen to even the most cautious drivers, so we are also dedicated to helping victims get the help they need so they can focus on recovery.